Multiple new attractions and live entertainment experiences. A new lake which will be the focal point for entertainment experiences and will also connect each of the new park areas. 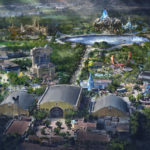 The multi-year development will roll out in phases beginning in 2021, significantly expanding the Walt Disney Studios Park. The project brings new attention to a park that is considered by many to be disappointing. This strategy is similar to the redevelopment of Disney California Adventure that brought new life and acclaim to the park. The news comes after Disney has bought all of the Paris destination. 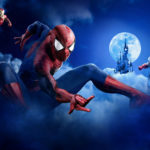 Just this month, Disneyland Paris announced plans for a new Marvel-themed attraction that will be coming to the Walt Disney Studios, part of the new Marvel area development. 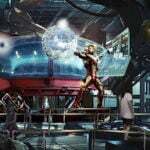 In 2020, the resort will open Disney’s Hotel New York – The Art of Marvel, a reimagining of Disney’s Hotel New York that will showcase the inspiring worlds of Iron Man, The Avengers, and Spider-Man, among others. And this summer, the Marvel Summer of Super Heroes seasonal event will take place at Disneyland Paris, where guests can meet their favorite heroes and experience new live entertainment.